What is a Pondless Waterfall? 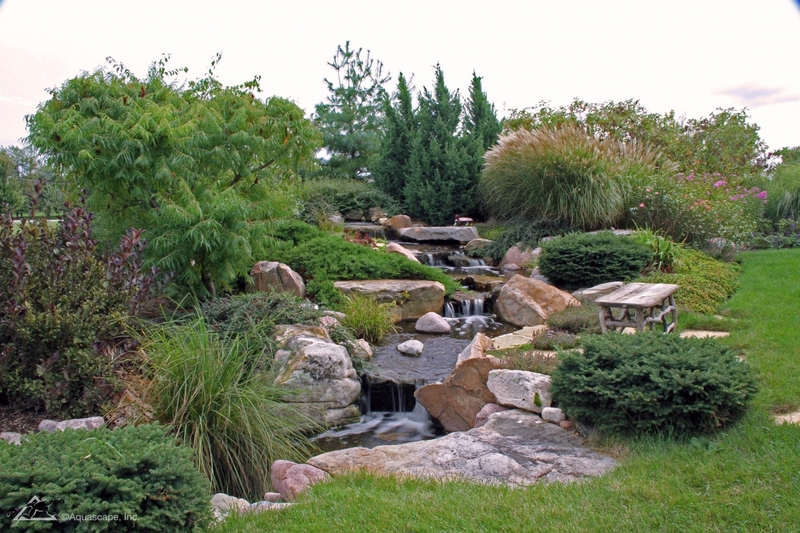 Well, a Pondless waterfall is a water garden that has a waterfall, but no attached pond. Notice in the picture how the water drains through the pebbles? The water is then pumped to the top of the waterfall to begin the cycle anew. 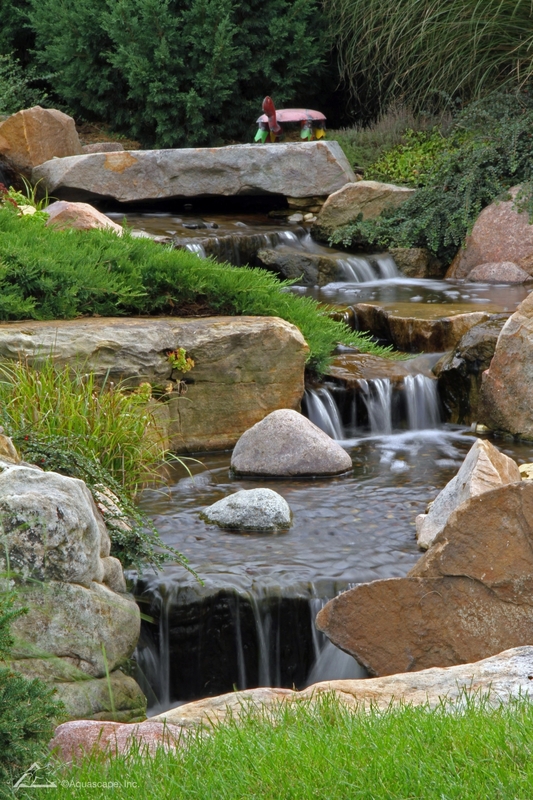 In this article we will take a look at various pondless waterfall design ideas and provide insight into installing your very own DIY pondless waterfall! One or many streams can be attached to a waterfall, or simply just have a single stream with many waterfalls. It might sound overwhelming, but that’s why we’re here! We love to help design and install pondless water features. 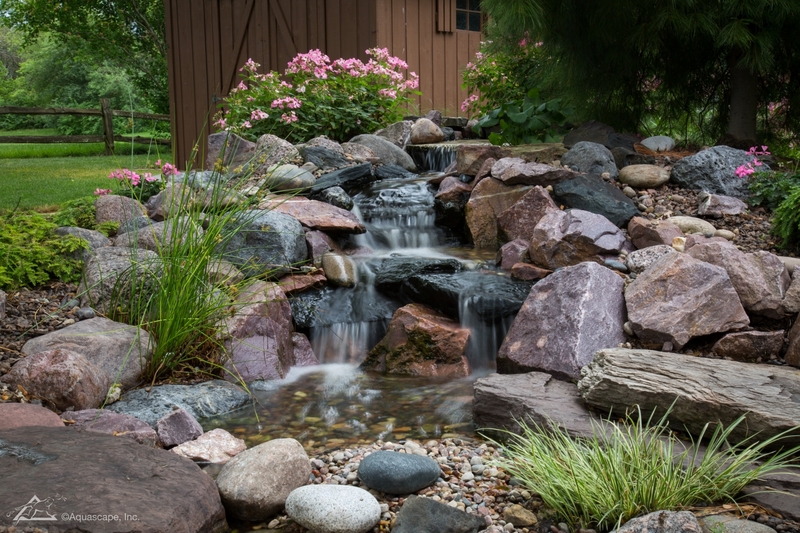 When constructing a pondless waterfall on your own, be sure you have enough space for your water feature, associated pumps, and room around the waterfall for rocks, pebbles, and vegetation if you choose. If you’re ready to jump right into installing your DIY Pondless Waterfall Kit, watching a short how-to video might help clarify any questions you have in mind. 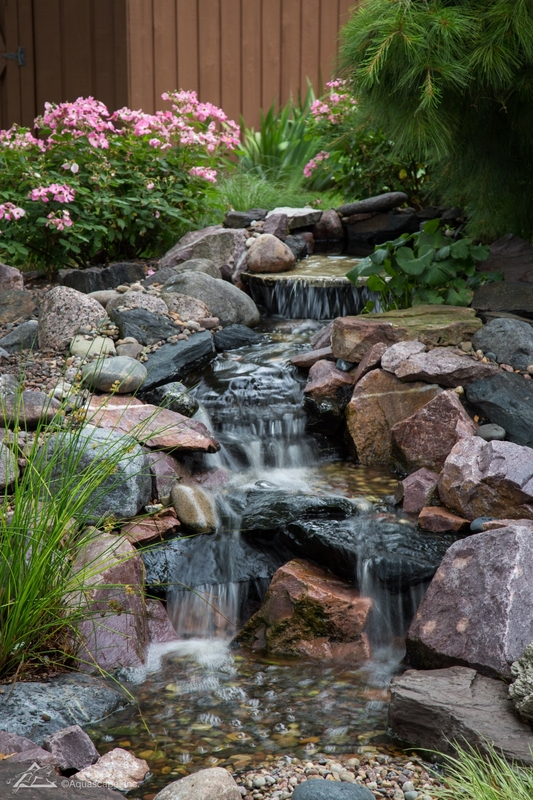 Sometimes large rocks can be the perfect way to create your backyard paradise. Notice the several large boulders hanging over the pondless waterfall! 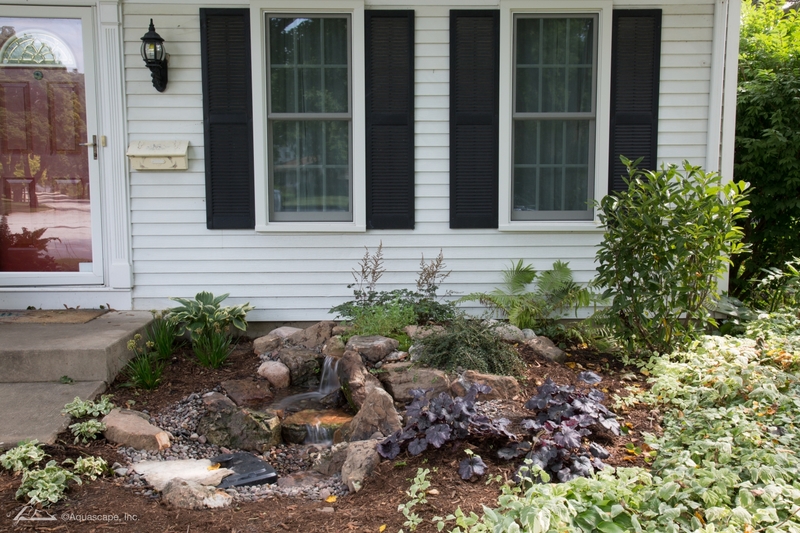 Our Pondless Waterfall Kit was simple to install and setup. Notice the colored pebbles surrounding the feature and the added flowers complimenting the design. 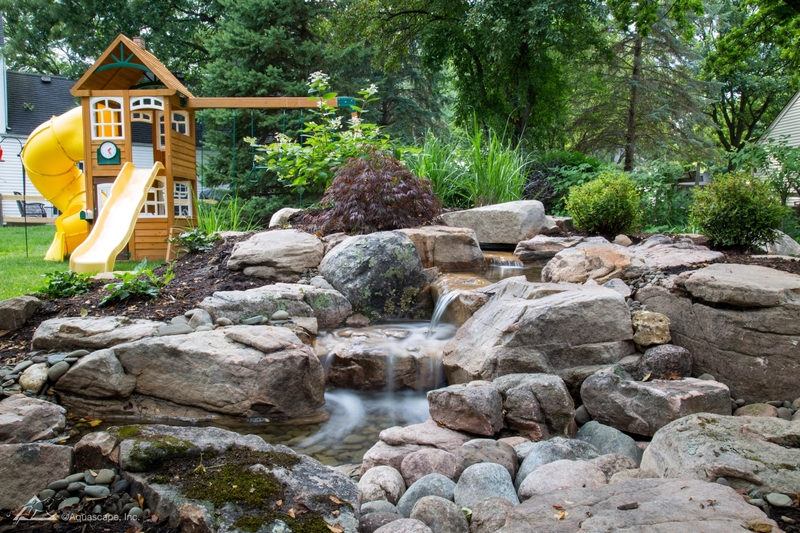 If you’re ready to get started, we have four pondless waterfall kits to choose from! Give us a call if you have any questions.